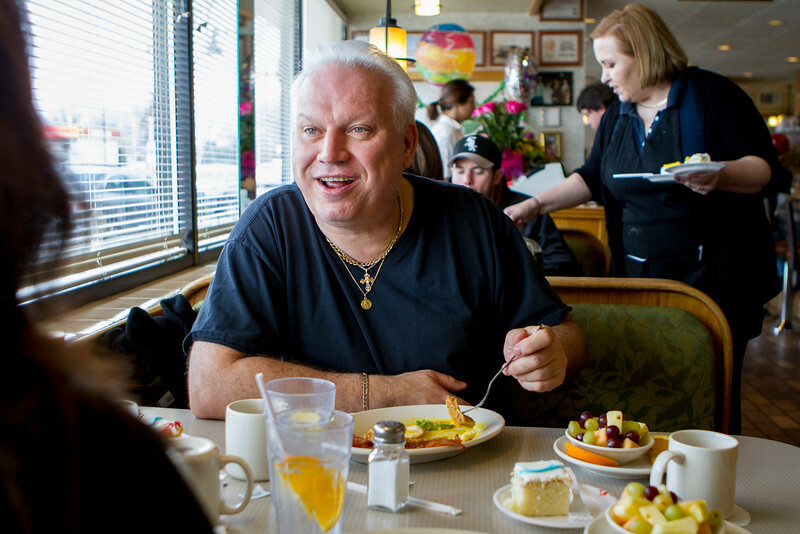 Mike Greene - For Shaw Media Ron Alesi, of Barrington, chats with his wife Suzanne while eating breakfast during the 35th anniversary of the opening of Andy's Restaurant Saturday, March 12, 2016 in Crystal Lake. The couple began visiting the restaurant ten years ago and said "the energy is always great and the staff is always willing to make accommodations with meals." Mike Greene - For Shaw Media Eva Izquierdo, 8, prepares to polish off her second serving of cake, as her mother Tracy watches on during the 35th anniversary of the opening of Andy's Restaurant Saturday, March 12, 2016 in Crystal Lake. Tracy Izquierdo said whenever her parents or grandparents visit their first stop is always Andy's and they're happy to be there to celebrate with the business. 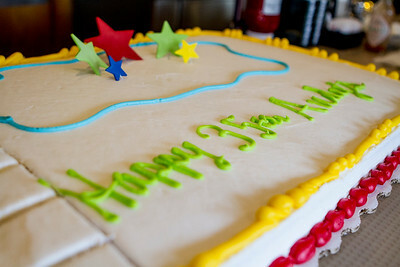 Mike Greene - For Shaw Media A cake marking the 35th anniversary of the opening of Andy's Restaurant waits to be served Saturday, March 12, 2016 in Crystal Lake. To celebrate the anniversary, the restaurant served free cake all day. 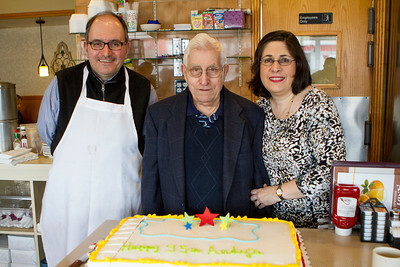 Mike Greene - For Shaw Media From left, Louie and Andy Piculas and Angie Angelos celebrate the 35th anniversary of the opening of Andy's Restaurant Saturday, March 12, 2016 in Crystal Lake. The family, along with brother Bill Piculas (not pictured) have owned and operated the Crystal Lake staple together. Mike Greene - For Shaw Media Chris and Emily Pietsch share an order of cinnamon roll pancakes during the 35th anniversary of the opening of Andy's Restaurant Saturday, March 12, 2016 in Crystal Lake. To celebrate the anniversary, the restaurant served free cake all day. Ron Alesi, of Barrington, chats with his wife Suzanne while eating breakfast during the 35th anniversary of the opening of Andy's Restaurant Saturday, March 12, 2016 in Crystal Lake. The couple began visiting the restaurant ten years ago and said "the energy is always great and the staff is always willing to make accommodations with meals."